The Structured Water units above are being offered to you at an incredible price because we have a vision of a world where people everywhere experience all the benefits of being hydrated by water energized by nature. Drink it! Shower in it! Play in it! Structured Water is pure energy and consciousness. Provide it to your loved ones, ﻿pets and your home﻿ and watch your world transform one cell at a time. Never spend money on water bottles again! With your portable device you can always have fresh, clean water everywhere you go and you can feel good by kn_owing that you are part of the solution to eliminate unneeded waste in landfills. 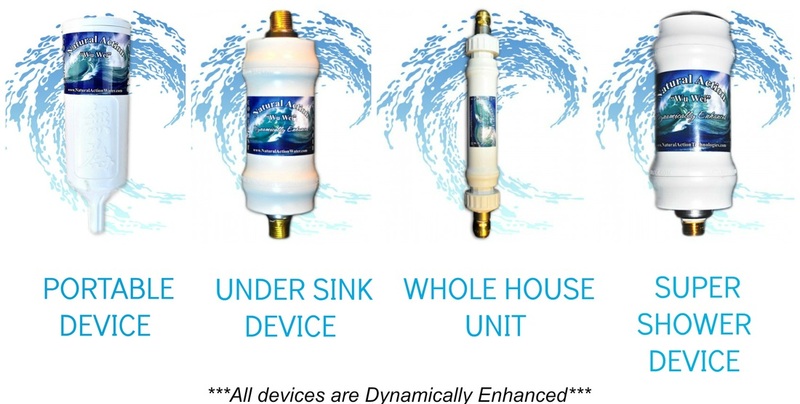 Click the drop of water to view all the units and the special offer.